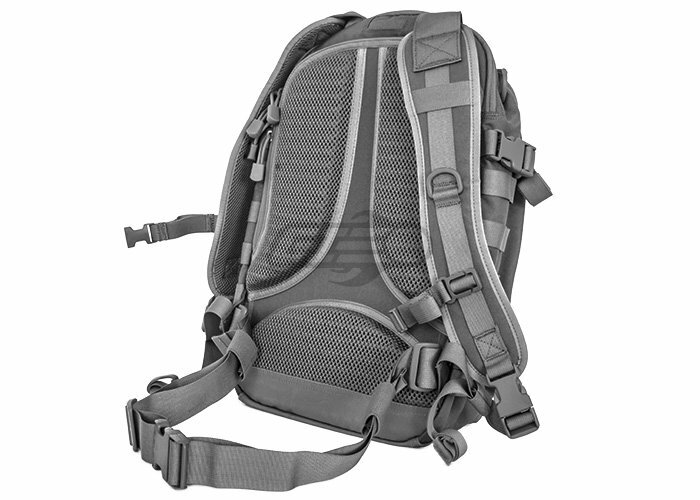 Condor Elite has over 20 years of experience in the tactical/outdoor gear industry; specializing in tactical gear including vests, plate carriers, modular pouches, and packs. They are a licensed Multicam and A-TACS dealer. Condor Elite gear has become a staple in law enforcement, military, and airsoft industries given its quality and affordable price. More recently they have expanded to making more of their products in the USA and have added a tactical apparel line, offering technical performance jackets, base layers, and pants. 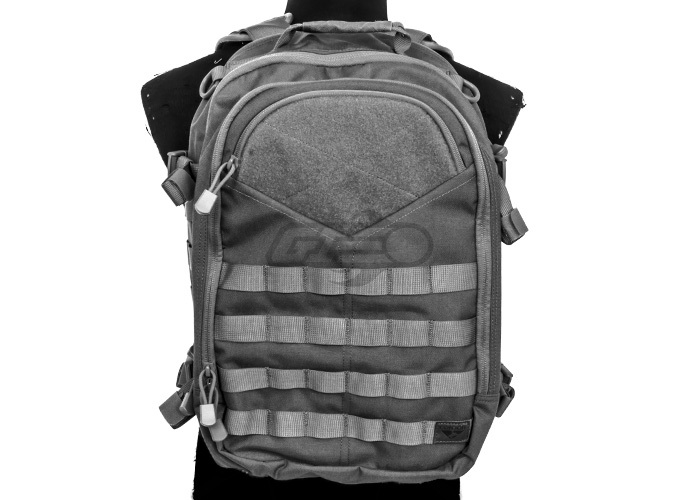 "To celebrate the twenty year anniversary of Condor Outdoor Products, we are turning our eye back to our roots by innovating stylish functional tactical gear for the outdoor and urban communities with the Elite product line. With the focus on premium materials and quality craftsmanship, we hope to thank all those who serve, served, and will serve for the support in us and our products." Being quick and nimble is also an important factor when finishing a job out in the field. Without holding you back, the Frontier's compact build provides consedrable mobile prowess and doesn't sacrifice any of the superior features you will come to expect of the Elite's pack line. You won't just be prepared to enjoy a trek through the great outdoors, but also be ready to conquer any urban exploration. 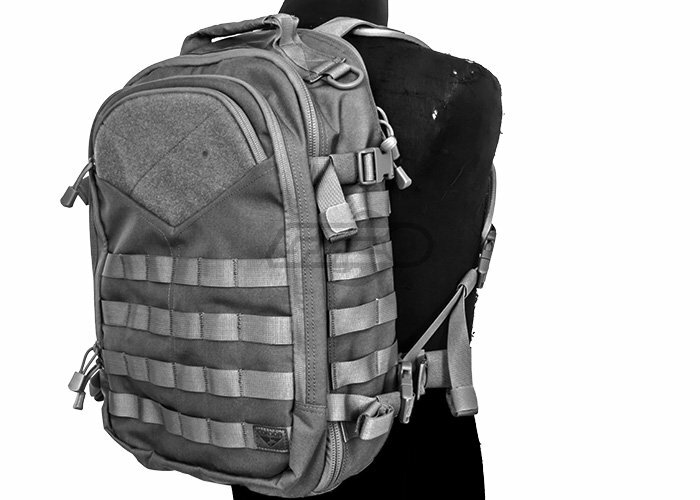 Constructed with Mil-Spec 500 Denier Cordura fabric, high tensile strength composite nylon thread and webbing. Rugged, high abrasion-resistant rubber material to reinforce bottom of the pack. 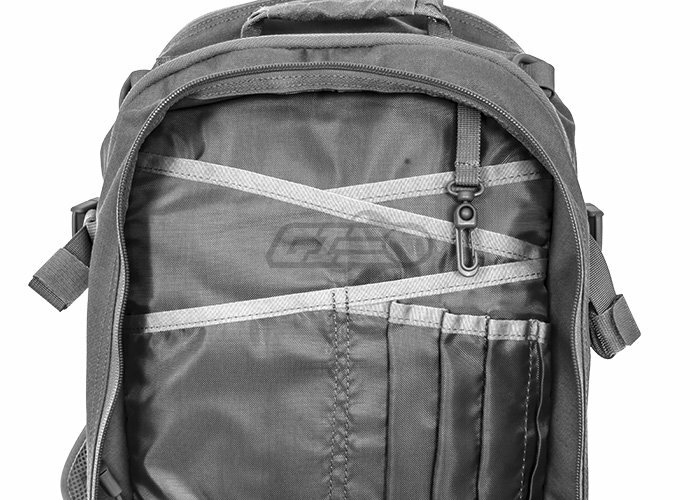 YKK zippers throughout the pack with paracord pull cords. Synthetic Rhino skin drag handle with D-rings. Main compartment (11"W x 18"H x 5"D) with U-shaped zipper, internal laptop and tablet sleeves, and document pouch. Sized to fit 15" MacBook or laptop with maximum width of 15". 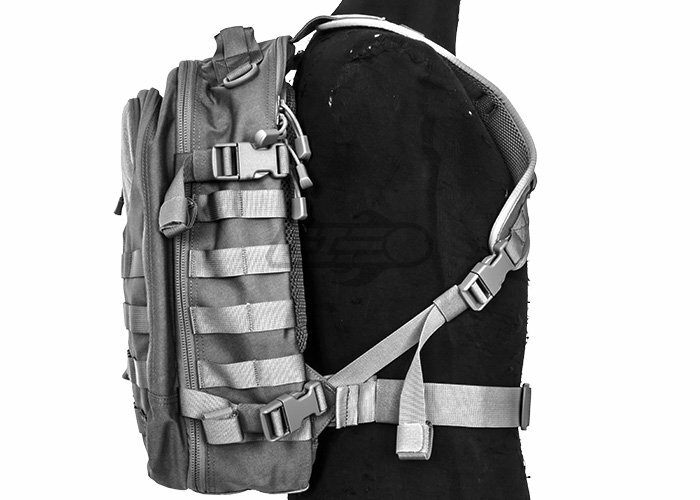 Backside compartment has a pocket for hydration with tube access to the top holds up to 2.5L bladder. Fleece lined gadget pocket (5"H x 7.5"W x .5"D). 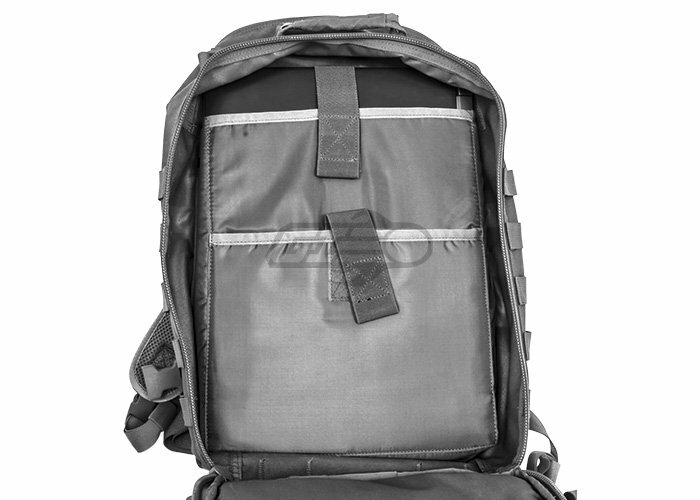 Secondary compartment (16"H x 10.5"W x 2"D) with organizer panel and internal zippered mesh pockets. 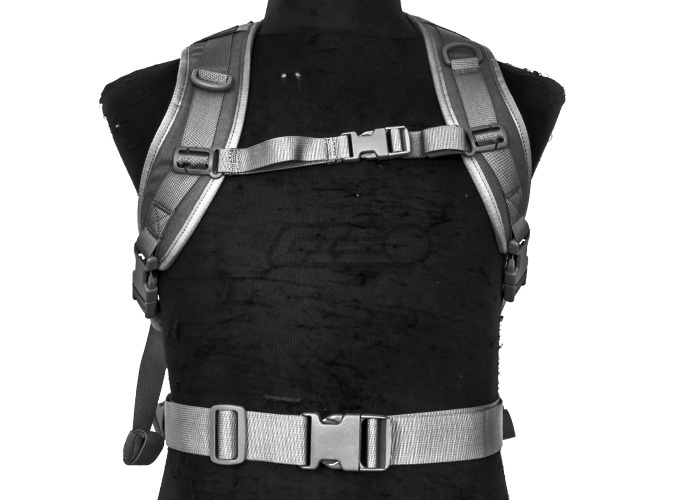 Air-Flow system on the back to maximize ventilation and back support. Hook and loop ID panel.